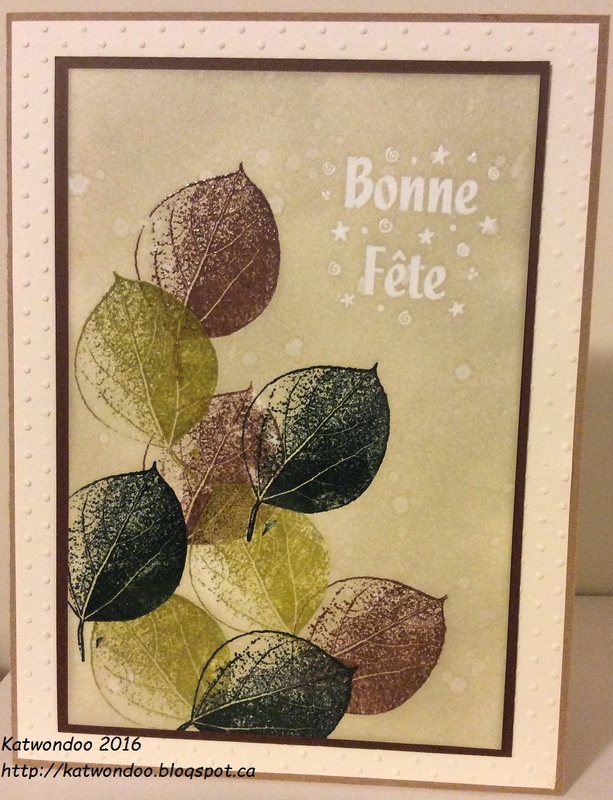 The sentiment was stamped with Versamark and emboseed with transparent embossing powder. When I sponged my distress ink, the sentiment Happy Birthday was revealed. I made this birthday card for SSS Wednesday challenge: Happy birthday and SSS Monday challenge: Try to Resist! I gave this card to my aunt. Merci pour votre visite! Thanks for stopping by!